We are heirs to a long line of leaders who have steered the Bankers Institute of the Philippines in the last 77 years, ably supporting the industry’s resolve to be always equal to the ever-changing needs of the banking public. It is with pride and commitment that my team accepts the torch being passed on to us today. 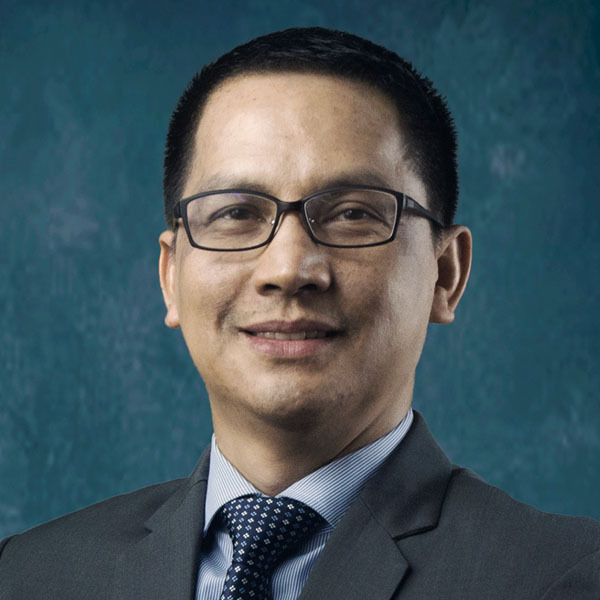 We will run our lap from 2018–2019, guided by the theme, “Fostering Stewardship Amidst Financial Innovations.” Our view of stewardship is defined by three dimensions – first, it is a constant commitment to help the BAIPHIL membership take full advantage of the innovations and advancements in banking, technology and related fields; second, it is a challenge to be vigilant, to recognize and proactively address disruptive developments, if any, by consistently observing good governance; and third, stewardship is a call to increasingly build the worth and expand the influence of the Institute, as the banking industry’s partner in capability-building. This direction brings BAIPHIL to an exciting segment of its journey. The track of continuing education, research and information exchange, laid down by its pioneers and enhanced by each team that takes over year after year, is alive and well. Now, it packs new depth and picks up pace with the 5-year strategic plan our outgoing and incoming leadership teams have jointly put in place. This is an ambitious blueprint that looks at a unique range of certification and accreditation courses, of expanding local and global partnerships, of highly responsive program offerings, of brand enhancement, and the aspiration to be one of the best banking institutes in the Asia-Pacific region. It will take a number of terms to transform these plans into reality but the long haul has never daunted the men and women of BAIPHIL, and Team 2018-2019 is hitting the ground running. Thank you for the warm wishes and constant support!